When Matt and I were engaged I decided that once we were married I would resume something I had started years before, but virtually abandoned: learning to cook. My mother had given me a decent grasp of basics, and while I had picked up a few ways to prepare salmon and a stuffed shells recipe or two over the years, for the most part I lived on spaghetti (just stir spinach into the jar sauce--no need for a side veg! ), salad, Trader Joe's crab cake appetizers, and steamed broccoli. But now I was going to be a married lady. Things were going to be different. BETTER. I would be better. So I spent hours perusing cooking blogs and compiling recipes I wanted to try. Some of those hours may have been in my cubicle at work in San Jose, but I'm not admitting anything. There were quite a few blogs that struck me, and I printed the recipes that really grabbed me and put them in a big "To Try" binder, along with recipes cut from magazines and carefully glued to paper to fit the binder. A few months later we were settled into our apartment in San Diego and I was ready to dive into cooking. While there were a few misses, there were quite a few hits, and I started gaining confidence in my cooking abilities. Or at least my ability to follow a recipe and achieve the desired result. I noticed that the recipes from Deb Perelman's Smitten Kitchen blog not only turned out well, but they quickly became staples in our cooking rotation. 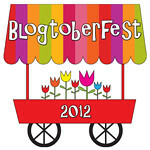 I kept up with her blog even as my obsession with cooking blogs in general began to dwindle. When I found out she would be releasing a cookbook I was thrilled. I pre-ordered it as soon as I could, even though it wouldn't be released for SO LONG. 6 whole months! But the wait is over. 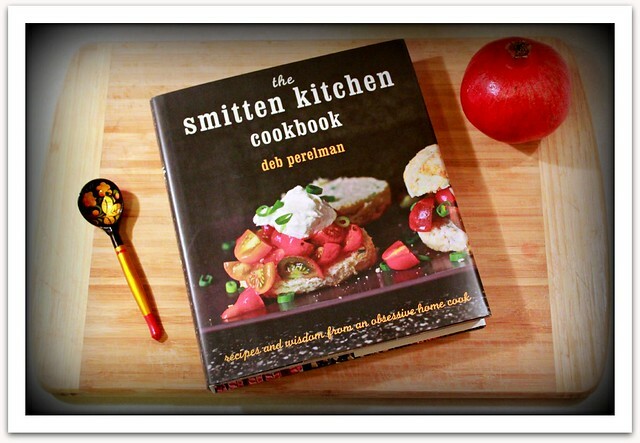 Today the beautiful FedEx man delivered a cardboard package to me, and inside was the Smitten Kitchen Cookbook. EEEEEEEEE! I am so excited! I cannot wait to start cooking from it! Tonight we had to finish up some leftovers (this roast chicken with dijon sauce recipe, actually), but I've been flipping through it and it looks fantastic. After reading the introduction and about half of the breakfast recipe, I decided to snap a picture of the book in my poorly-lit kitchen (hence the vignette effect for shadow obscuring) and share my excitement with the Internet! Please pardon the bad picture. But yay! Don't be afraid to accept a dinner invitation from us this winter--I've got help in the kitchen. We accept!! ;) We will eat all the mistakes along with the good! Can you airmail some of the mistakes to our house? Nope, guess you'll have to come visit!